View of the entire Falls from the top of the Visitor's Center Tower. You can see downtown, the Mill, and the Falls from here. Recently, I went on vacation and, is my usual custom post-vacation, it's time to start sharing the places I went & the things I did. My husband went back to school full-time last Spring, so the last two family vacations we took, we kept costs in mind. Last year we were fortunate enough to go visit my mom, who lived in Arkansas for a few years, where we were able to stay with her, cook our own meals, and spend abundant time in breathtaking nature. This year was no different, but not wanting to rack up any credit card debt and be able to have fun with very limited funds (post forthcoming), we headed up north a few hours. We chose Northern Iowa because my Dad and my Mother-in-law (as well as a close friend from high school) live up there. We were in our own town for the weekend then drove North where we stayed with my Dad for a few days and my mother-in-law for a few days, before heading back home in order to fly out to New Orleans for a long weekend (another forthcoming post). My Dad and I are both avid hikers and outdoor people, so we did a generous amount of hiking. One day, however, we packed up the whole family to head up to South Dakota where we spent the day going to a few amazing places. 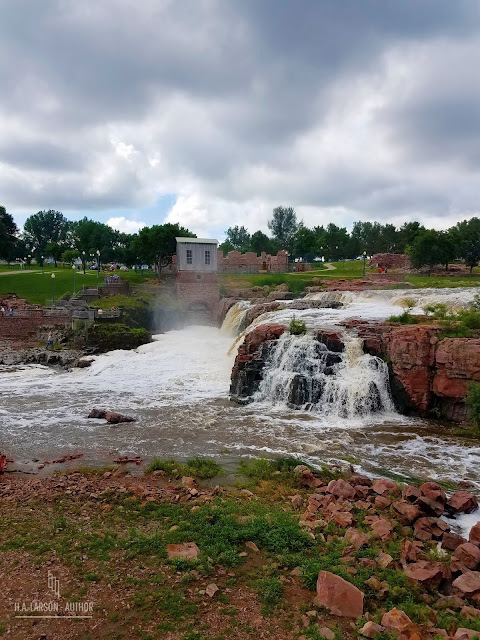 One of those places was Falls Park in Sioux Falls, South Dakota. 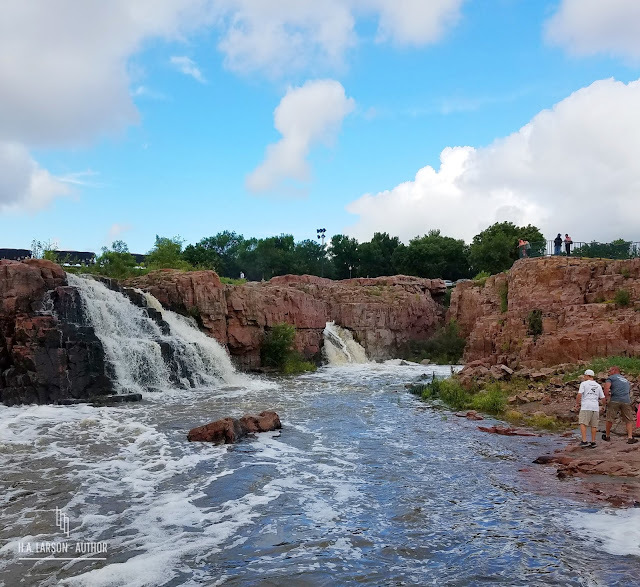 Now, I've been to Sioux Falls a few times, but have never had the opportunity to visit the Falls. It was gorgeous! Even though you can't see the Falls moving, you can really tell how powerful it was during our visit. It rained heavily the week before and during the week of our vacation. So much so that flooding was a common sight all over the countryside. Even though I've never been to the Falls before, I could tell by the amount of water and the sheer force it exerted as it pushed its way down the quartzite, that they were swollen to higher limits. It didn't affect our ability to get up close and check them out, but it did make for a more magnificent sight. As you meander up the paths next to and around the Falls, you can see all the nooks and crannies contained within. Like any other such type of water area, it was put to good use back in the old days. Falls of any kind were usually great places to put mills. Mills could harness the water, via gravity, to power the large wheels that made mills work. This mill, the Queen Bee Mill, ground wheat into flour. 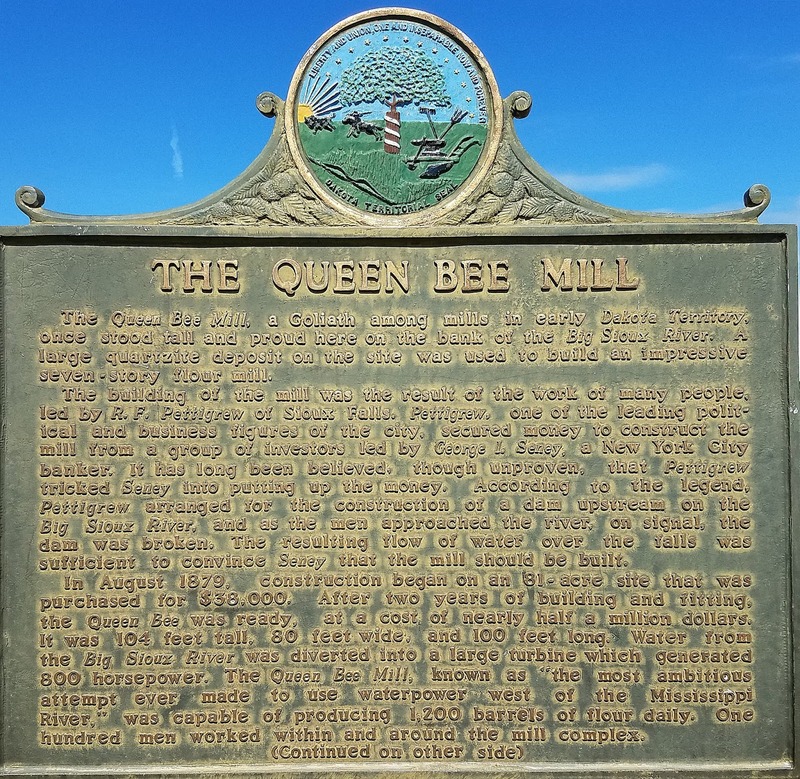 A close-up view of the Queen Bee Mill. 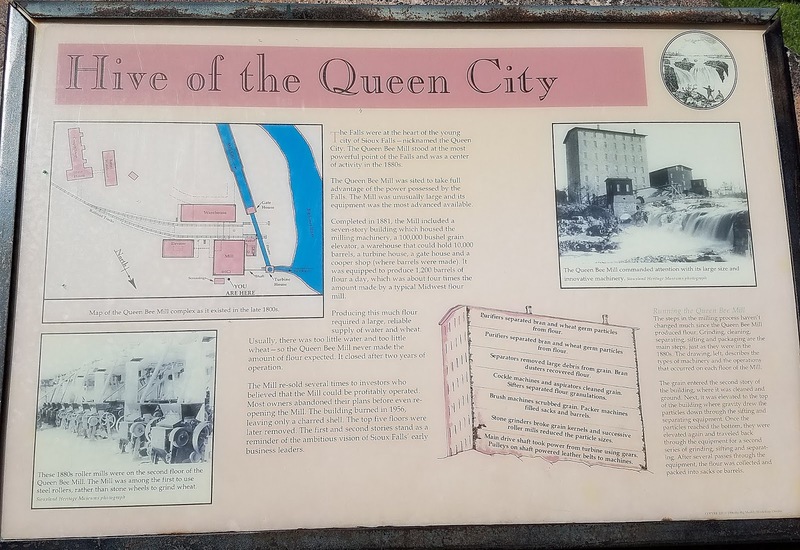 This informative sign at the Falls talks about the Mill being an integral part of the Queen City. 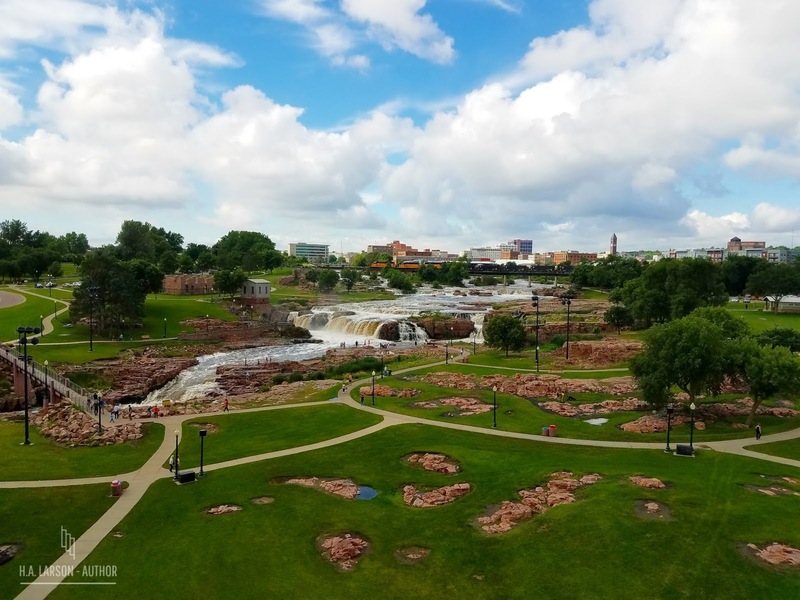 This refers to Sioux Falls, as it was the Queen City of South Dakota. 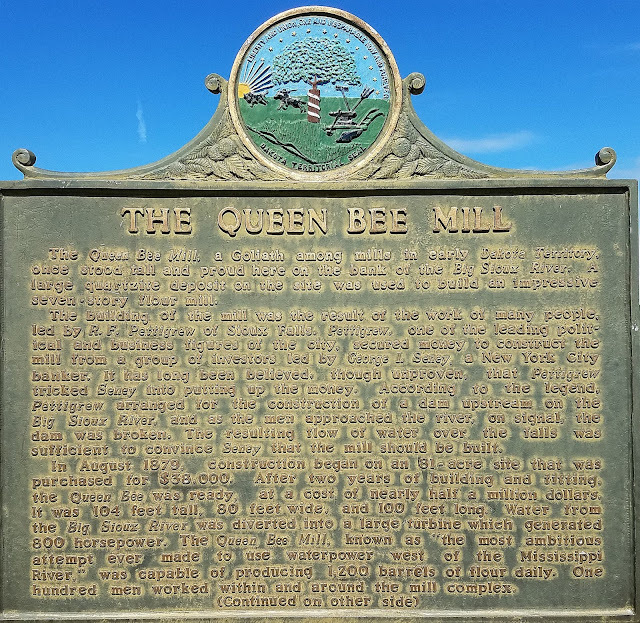 Queen City is a designation for any town or city that is the largest in its county, state, province, or territory. 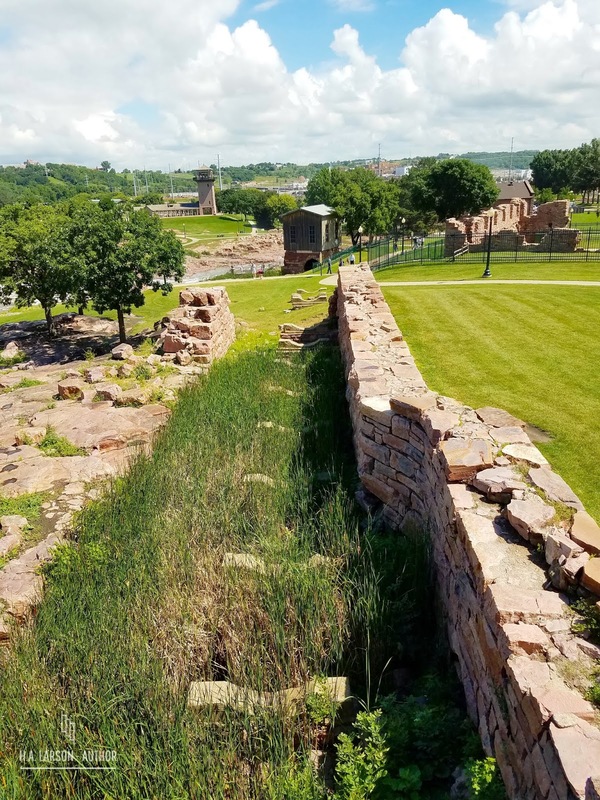 This shot shows the remains of an old pipeline that routed the water from the Big Sioux River to the Queen Bee Mill. The remains amount to the concrete stands the pipe rested upon. 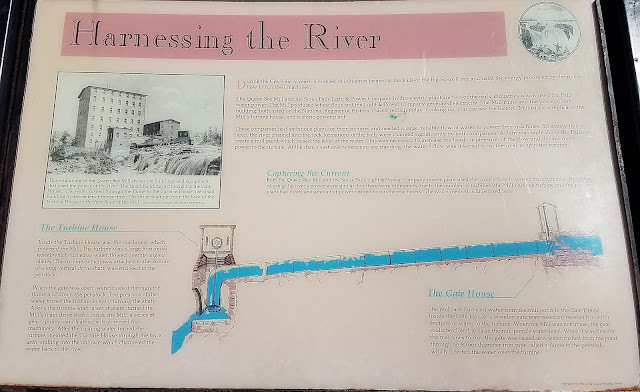 This sign explains how the pipeline worked to bring water to the Mill. The Falls are a pretty amazing natural structure. Composed of quartzite - a sandstone that is converted to quartzite from the heat and pressure of the movement of tectonic plates - over 7,400 gallons of water rush over the rock every second, although I think it might have been a bit more when we were there, just because of the sheer volumes of rain that had dropped for the entire week prior. It was a pretty place to spend an hour or two, and one can get lunch in the restaurant that is contained within the old mill. For more information about Falls Park, click here and here. It was a nice place to visit and I recommend it for anyone traveling through South Dakota. 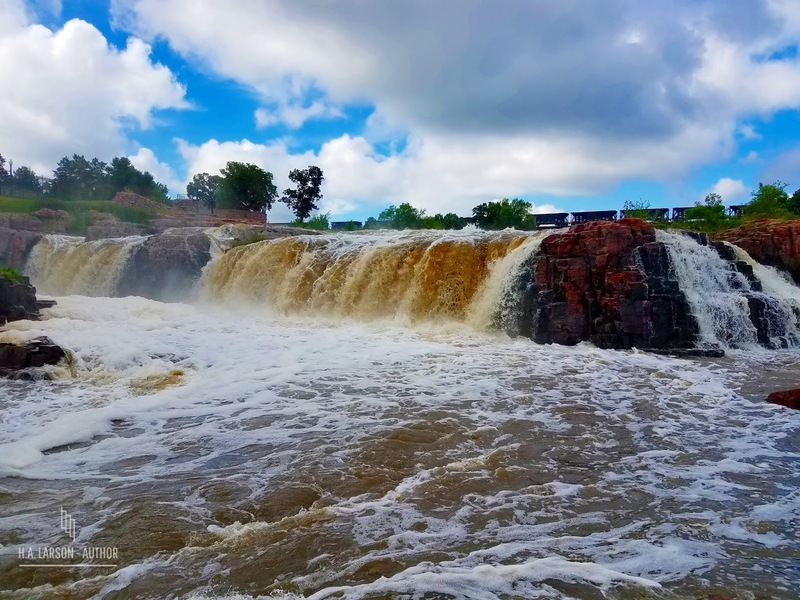 South Dakota is a beautiful state, and I wished we had been able to spend more time there as we had originally planned. Such is life. We still had a great time and got to visit a few places while in the state. 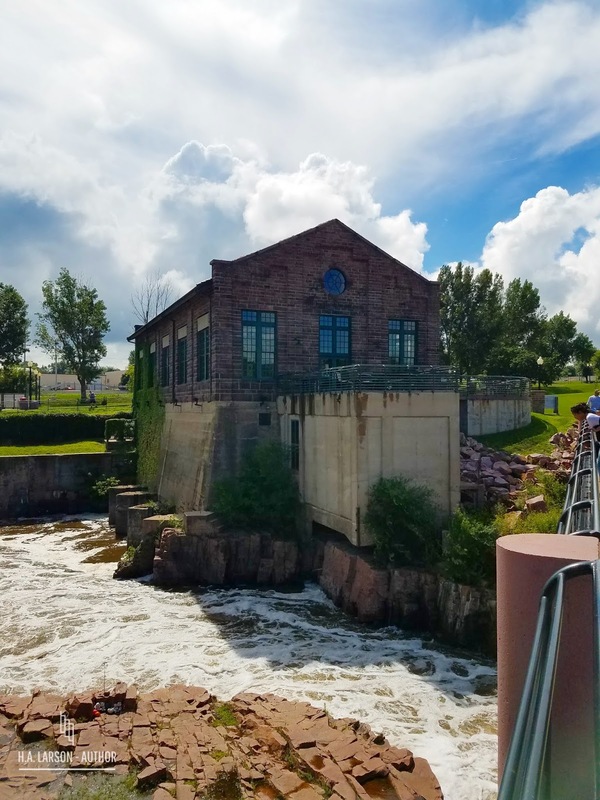 Stay tuned for other vacation posts from our visit to South Dakota!